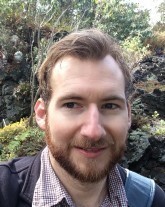 Jack Powers is a doctoral candidate at the University of Minnesota in the Department of Philosophy. Jack’s research focuses on conceptual and ethical issues in biological and environmental science. His doctoral project investigates relationships between scientific descriptions and ethical and epistemic values. He uses research on the controversial herbicide, atrazine, as a case study. His dissertation work is supported in part by the Tom Lapic Memorial Fellowship of Social Justice. Powers, J. (2016) The Inductive Risk of “Demasculinization.” In K. Elliot and T. Richards (eds),Exploring Inductive Risk. Oxford University Press. Powers, J. (2013). Finding Ernst Mayr’s Plato. Studies in History and Philosophy of Science Part C: Studies in History and Philosophy of Biological and Biomedical Sciences, 44(4), 714-723. The Inductive Risk of “Demasculinization.” (2016) Joint 3rd annual meeting of the Consortium for Socially Relevant Philosophy of/in Science and the 6th annual Values in Medicine, Science, and Technology Conference. University of Texas, Dallas. Inductive Risk Without Type I or Type II Error: Ethical Values in Endocrine Disruption Terminology Choice. (2016) Meeting of the Pacific Division of the American Philosophical Association. San Francisco, Ca. Atrazine Research and Criteria of Characterizational Adequacy. (2016) Meeting of the Eastern Division of the American Philosophical Association. Washington, D.C.
Can Community Based Participatory Research Principles Save Industrially-Toxified Scientific Debates? (2015) The Collaboration Conundrum Conference: Special Interests and Scientific Research. University of Notre Dame. A Community-Based Water Sampling Project in Zambian Mining Regions. (2015) Science in the Developing World Conference. University of Waterloo. Atrazine Research and Criteria of Characterizational Adequacy. (2014) Meeting of the Philosophy of Science Association. Chicago, Il.